We looked in the bilge and found that there was quite a bit of water in it. This was a real reminder to us that we need to be more consistent about checking the bilge for water. We know that some water came in when Bryce was doing the engine alignment and then we did some cleaning. I didn't want to clean it out as we are planning to put our paddle wheel back in soon and that would just make it disgusting again and why do a disgusting job twice! So we knew that there should have been some water in the bilge, we just hadn't expected it to be that much and it was right below the level where the electric bilge pump would kick in. So I set about pumping it manually and in the process the pump handle snapped off. Great... something else to add to the list! 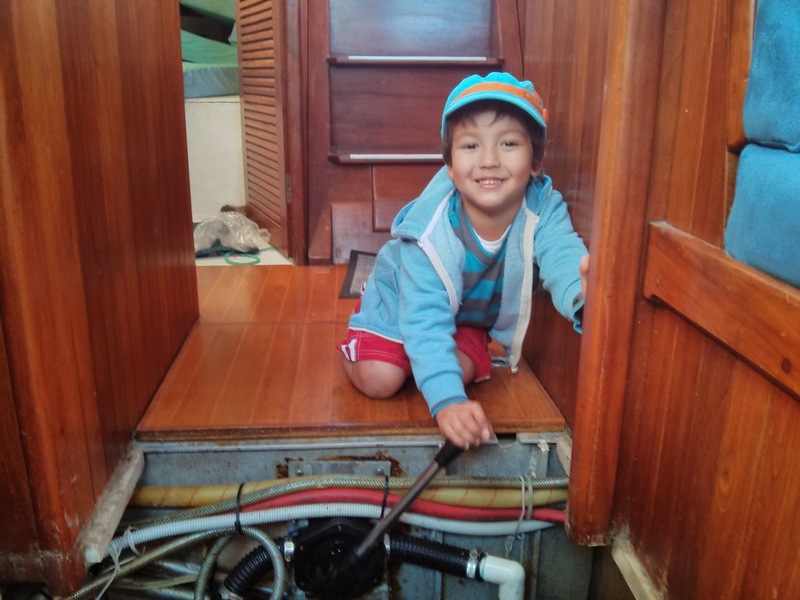 Jack's favourite job on the boat - pumping out the bilge! We have a back-up in the cockpit so Bryce used that to pump out the remainder. I then started to clean up the rest of the water in the bilge that is unreachable by pumps. I had just about finished when I remembered I needed to switch the bilge pump back from the non-functioning manual pump to the automatic electric pump. This of course meant that all of the liquid that had been held in the pipe on the manual pump, flowed back down into the bilge and I had to start again. Ok... Almost finished again and I knocked over the bucket that I had been squeezing the disgusting bilge-y mess into. Seriously Alissa, get yourself together. 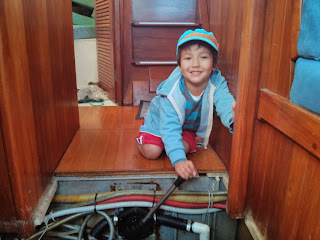 Because of the angle that I need to be at in order to reach the very bottom of the bilge and because "I was trying to not make a mess," the bucket was the first thing I grabbed when I came up for air. This all would've been fine, if not for the fact that I then knocked the stinking (literally and figuratively) bucket over again, this time all over myself and back into the bilge. Sigh. We were supposed to be meeting my Aunt and Uncle over at the beach to have a little catch up and they were waiting very patiently while this was all happening! I finally finished and was cranky, wet, gross and miserable. But this is where the day starts to look up! We made it ashore where we had a lovely time hanging out with David and Jenny, playing with their dogs, talking and eating the delicious treats that they brought from a nearby health food shop! Prior to that disaster, in the last few days I have spent some time playing around with my manual blender. Uncle Tim let me raid his garden of basil so I made a big batch of pesto and I have been experimenting with making chili sauces. In San Jose, where my sister lives, there is a taco place called La Victoria and they are known for their secret-recipe creamy orange sauce that is just so delicious and vegan. Being unable to get it anywhere else, it is high on my list of things to try and recreate. I had a craving for it the other day and was determined to start trying. I had an inkling that almonds might be the base of the sauce and was prepared to start with that but Jodie called La Vic to see if there were nuts in it and turns out there isn't! Since that was where my mind was I went ahead with a nut based sauce anyway and it was delicious! After months of searching in Australia, I finally found chipotle peppers in adobo sauce at a small Indian shop. They only had two tins left so now I'm down to one! They are much easier to get a hold of in the US. I am honestly thrilled that my blender was able to do this. I do need to purchase some ear plugs to wear while I'm using it as the noise was horrendously loud in my ear. You can make the sauce as thick or as thin as you like but it does thicken up a bit in the fridge anyway. The longer you soak the cashews, the better. Just make sure to save the soaking water. 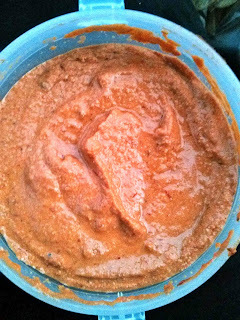 If you have a very high powered blender, then you may not even need to soak the cashews. We ate it on sandwiches, on top of scrambled tofu and nachos and even just with plain chips. Yum! Not to finest photo! I had to get it in quickly before we ate it all! 1. Soak cashews for 30 min-24hrs in three cups water. Prior to using, drain and reserve the liquid. 2. Add all ingredients, except soaking water, to blender and blend. Add liquid as needed for blender to function & to create desired consistency. 3. Serve chilled (or not) & enjoy! Hi Alissa and Bryce! It was lovely to meet you last night. Hope the rest of your night was great. I love chipotle sauce- I get my chipotles from the international food store on Balaclava Street in Wooloongabba- they're really hard to find despite getting more and more popular in restaurants! 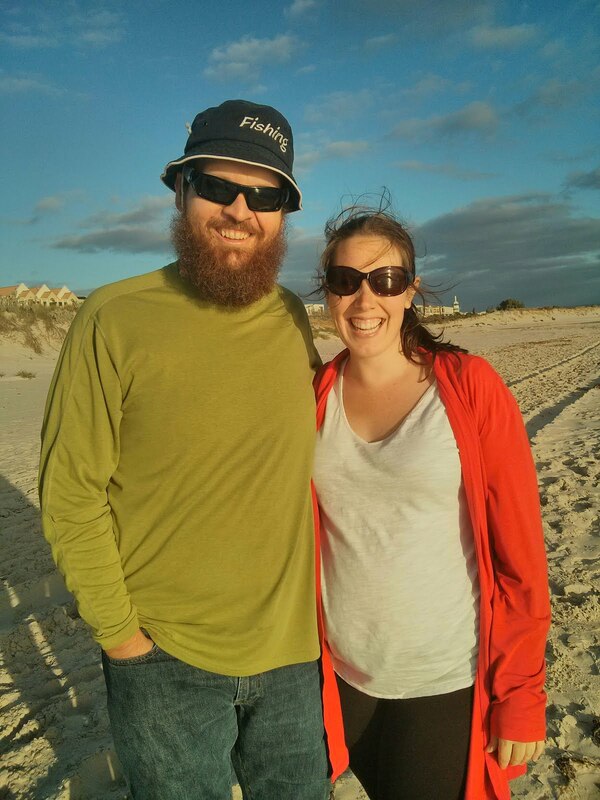 Hi Erin, It was great to meet you too! I will have to check out that store next time we are in the area! Thanks for the tip. Yes, it was kind of like that! :) All in all a great day!! The silver lining was that we still don't have any more water in the bilge so it must've just been left over from when we poured it down there. Let me know if you do! It's pretty scrummy! Things that make life better!